Portrait Mode is arguably the best reason for picking up the last-gen iPhone 7 Plus. The intuitive feature makes good use of the iPhone 7 rear dual cameras, allowing you to imbue your photos with a shallow depth of field effect, one typically reserved for fancy DLSRs. 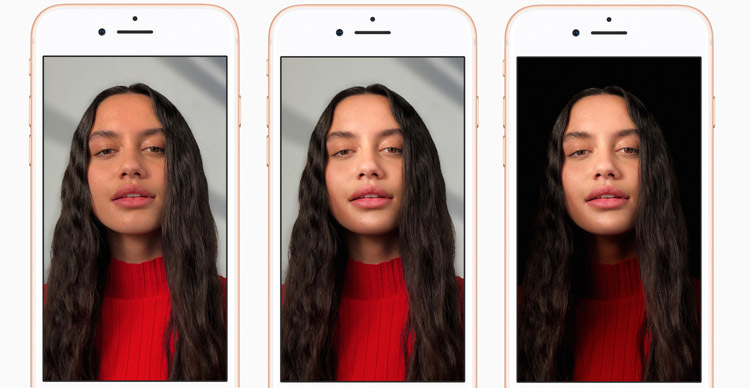 With iOS 11 and the new iPhone 8 Plus and iPhone X, Apple is adding cool lighting effects and other new features that will give your photos a more personalized look. Thankfully, learning how to use Portrait Mode on an iPhone only takes a moment — simply open up the camera and tap Portrait, which is located directly above the shutter button. Once your camera is in Portrait Mode, a wheel of lighting effects will appear. The first effect is Natural Light, which is essentially the same as the regular Portrait Mode introduced in iOS 11. As the name implies, the effect will simply blur the background and not adjust any of the lighting. The next effect is Studio Light, which tries to even the lighting across your subject, so it looks as though you shot the photo in a well-lit studio. Contour Light tries to even out the lighting, too, but it also adds shadows to your subject’s contours, giving their cheeks and other features a more pronounced look. Once you’ve chosen your desired effect, you’ll want to position the subject in the center of the camera and far enough away for you to snap the shot. The photo will then pop up in your Photos app with the applied effect. If you want to change the effect after you’ve taken the photo, then find your picture in the Photos app and tap Edit. You’ll then see the same choices as before, but at the bottom of the photo. Just remember that you can only change or add an effect to photos that you’ve previously shot while in Portrait Mode.